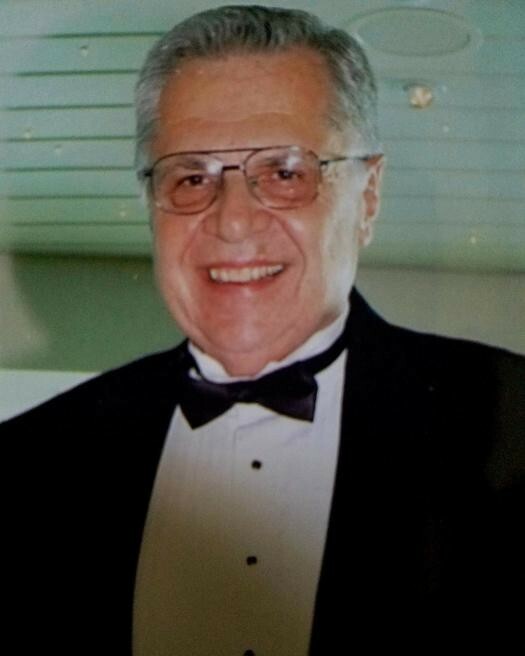 William “Bill” James Walstead Jr., 83, of Baytown, was reunited with loved ones and went to see Jesus face to face Tuesday, April 2, 2019. He was born on June 20, 1935, in Cranford, New Jersey, to parents William James Walstead and Edith Ruth Bingham Walstead. Bill grew up in Westfield, NJ where he developed an abiding love for fishing, dogs, and music. He excelled in school and was awarded a scholarship to Rensselaer Polytechnic Institute where he earned his degree in chemical engineering. Bill thoroughly enjoyed fraternity life and became the president of his chapter of Phi Kappa Tau. While on school break in Westfield, he spotted Lois in a pink sundress on the steps of the church, and it was love at first sight. After graduation, they were married and moved to Texas where Bill began his 30 year career at Humble Oil / Exxon. Bill’s interests included fishing, basketball, the Red Stocking Review, the Baytown Little Theater, Exxon Singers, helping with Lakewood Swim Team, playing pranks with friends, directing the choir at St. Paul’s UMC, gardening, and coaching his son. Early retirement allowed him time to develop and acquire a mechanical patent and to have a second career in financial planning. Bill was the proverbial “eternal optimist” and his family was his pride and joy. A recurring highlight was an annual “Beach Week” vacation with his children and grandchildren. Bill will be remembered by his family and friends for his vibrant sense of humor and his boisterous laugh, as well as his love of country, dogs, music, flowers, and the great state of Texas. Bill was preceded in death by his parents; his loving wife of 49 years, Lois Ann Walstead; son, James William Walstead; grandson, Weston Charlie Crowe; and sister, Marion Hilliard. He is survived by three daughters, Faye Blackshear and husband, Murray, Jennifer Crowe and husband, Jackie, and Laura Muscat and husband, Tony; grandchildren, Blake and wife, Ali, Brittney, Beau, Bentley, and Bayley Ann Blackshear, Travis, Derrick, and Marshall Crowe, Connor, Carson, and Chandler Muscat; and great grandsons, Luke Weston and Jake Harrison Blackshear. The family invites you for visitation immediately after the 2pm memorial service. *Bill was a casual person, no need to dress formal for his memorial. There's still time to send flowers to the Memorial Service at the Crespo and Jirrels Funeral and Cremation Services from 2:00 PM to 3:00 PM on April 20, 2019.